In the near future, you will be able to charge your smartphone by simply exposing it to light! Japan company Kyocera has been researching on solar-powered displays for some-time now and now the University of Illinois at Urbana-Champaign has developed something that is very unique and interesting. The researchers have managed to develop a technology that can be an absolute game-changer. The wonder technology consists of an array of LEDs on a display which can absorb light and turn it into energy. Apart from this, the display also has a few more tricks up its sleeve. The LED array consists of tiny nanorods arranged on a thin film that is made from three different types of semiconductors measuring less than 5 nanometer in total. One of these materials has the ability to emit as well as absorb light, while the other two facilitate how the electrons flow through the first one. This combination gives the LED array the ability to emit light, sense light and respond to visible ambient light. This is done by quickly and simultaneously switching between the emitting mode and detecting mode. The switching occurs rapidly that they have a refresh rate of more than any standard display available presently. 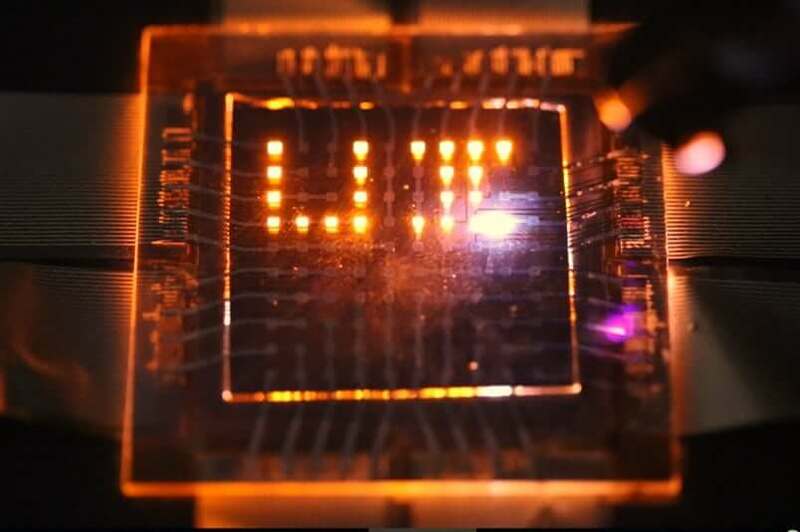 At present, the prototype is only on a small scale but researchers believe that they can work towards self-powered LED display that won’t compromise on performance. “The key improvement would be in the device being able to absorb much more of the ambient light,” Moonsub Shim, lead author of the study, explained to New Atlas. “However, displays also need to emit light and that imposes a limitation. I think there are ways around this problem but further research is needed,” he added. The other trick is that the display can help create interactive displays. The arrays can be programmed to react to light signals that recognise objects and gestures, or using a laser light beam on it.The array can also adjust the brightness automatically by sensing the ambient light around it. This will make the display even more efficient and comfortable since the display can now change the brightness in different portions of the screen area to create a uniform lighting and viewing experience, similar to a display which would be kept partially in sunlight. All this development is great for the technological world and this could be a breakthrough technology altogether. But since this technology is in its early stages, one cannot assure that it will make the cut and even if it does, it will take several years!